There are plenty of vegan yogurt choices made from a variety of non-dairy milk. Presently, dairy-free options include soy, coconut, almond, hemp, flax, or cashew milk. Filled with probiotic bacteria, vegan yogurt can be a beneficial addition to a healthy diet. Let’s talk vegan yogurt basics. You probably know that dairy yogurt is made with the milk from animals like cows, goats, or sheep. In these cases, the yogurt isn’t suitable for vegans because of the type of milk used to make it. So, what kind of yogurt is vegan? Ones made with almond, coconut, soy, or another plant-based milk. Here’s a list of vegan yogurt brands. You’ll find dairy-free brands in the refrigerated section of the grocery store. Probably right next to the dairy versions. Look for the above vegan yogurt brands or brands that are clearly marked vegan. 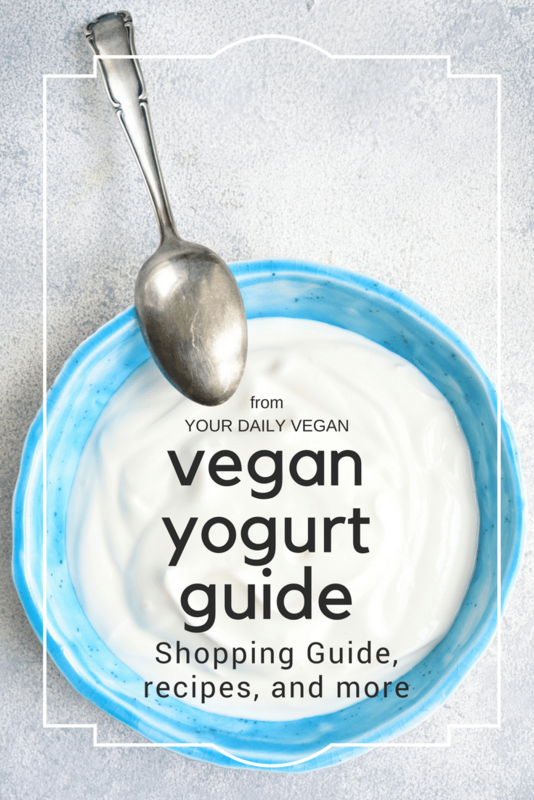 Do you make a vegan yogurt that isn’t listed? Contact me. What Kind of Yogurt is Dairy-Free? Common names for vegan yogurt products are “dairy-free yogurt” or “dairy-free yogurt alternatives.” Check the label for non-vegan ingredients like dairy-based milk or cream. Choose yogurts made from plant milks like soy, almond, coconut, or flax. 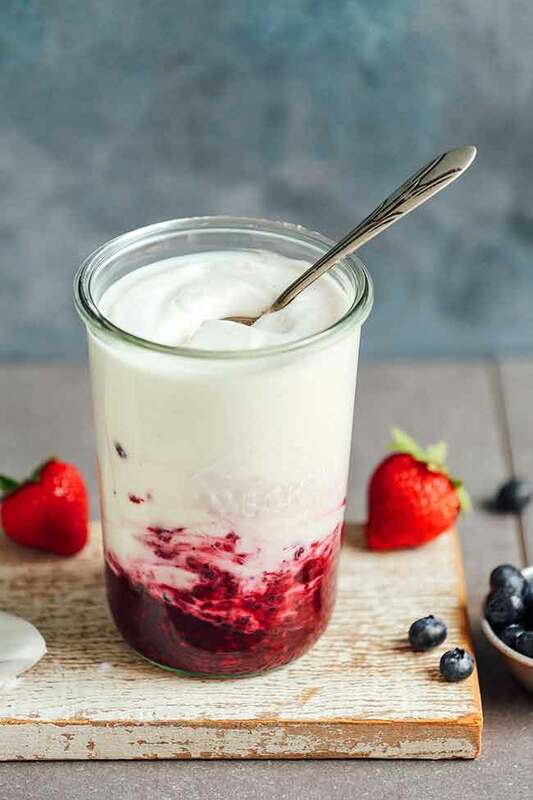 Delicious, creamy yogurt isn’t just found at the local grocery store or health food market, it can also be made at home. Here are a few easy yogurt recipes to get you started.